No Easter basket yet? No problem. 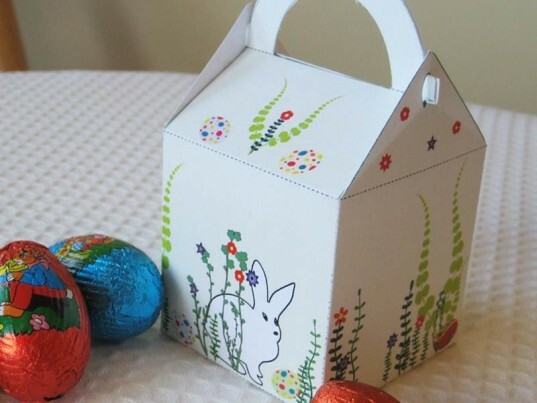 There are many amazingly cute Easter baskets on Etsy that you can quickly print out on recycled paper using your home printer. In most cases, these baskets require just a little glue or tape and minimal craft skills, although if you are the crafty type, paper baskets make it easy to embellish to your heart's delight. 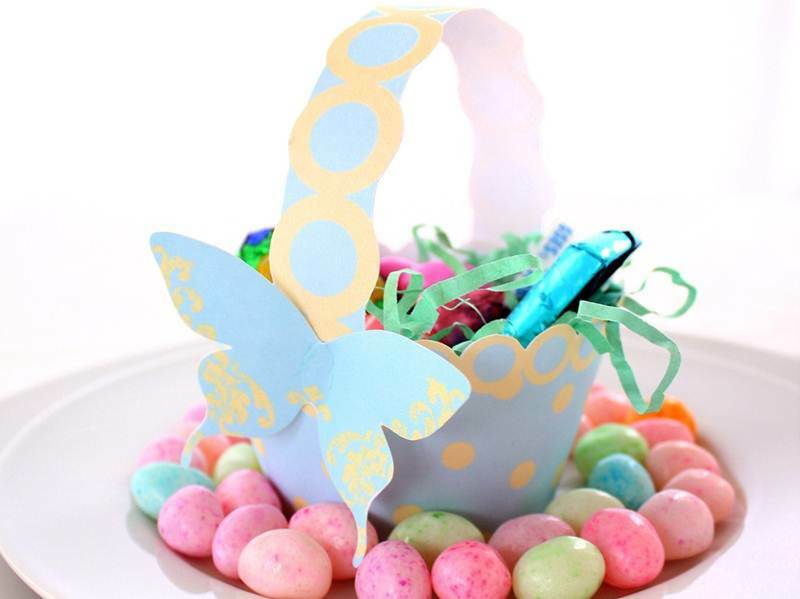 For example, the Pastel Blue and Buttercream Printable Polka Dot Basket shown above is perfect for Easter fun in a flash and best of all you can use paper PDF baskets over and over for other celebrations. 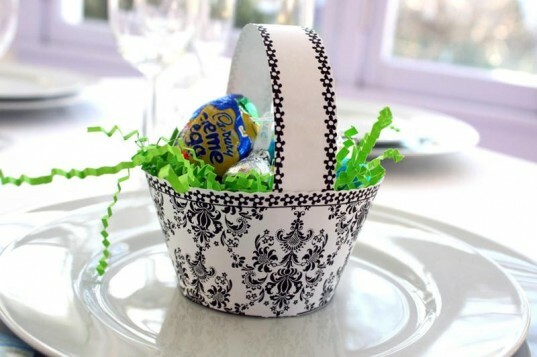 Keep reading to see more of our favorite low-cost, printable Easter baskets. The Stretch-The-Fun Box© design offers you two boxes in one. You can slide the sides open to create a larger basket or leave the basket smaller and tidy. This basket is perfectly easy to customize with embellishments so it’ll work for Easter, a baby shower, birthday gifts and so much more, allowing you to stretch the fun and cut costs. This gorgeous as-is basket also comes with four damask element designs, you can cut out and use as basket decorations, gift tags, name tags and more. We’ve yet to see a more elegant Easter printable. This kid-friendly Easter basket features a cute little chick plus cheerful colors and includes the basket template, handles and a bonus – two sweet Easter wrappers and five Easter tags. 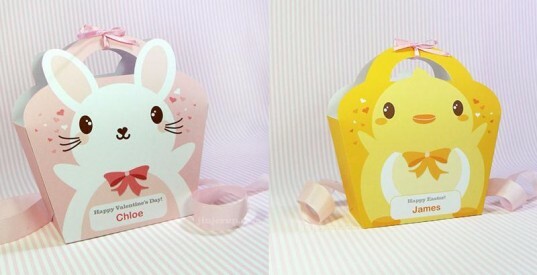 Jinjerup printables always delight our eyes, and now you can equally enchant your child this Easter with an adorable Kawaii Chick Giftbag or festive Kawaii Bunny Giftbag. Plus, if you’ve got more kids, there’s a special Buy 3, Get 1 FREE gift bag deal. 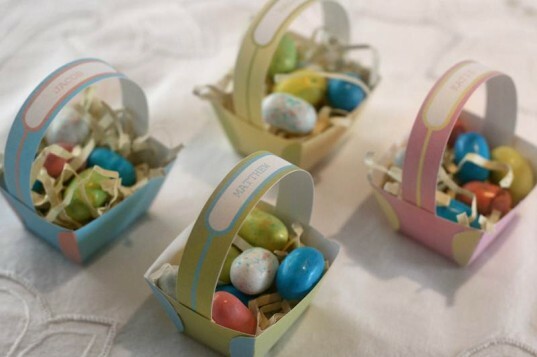 These darling mini baskets hold a tiny handful of your favorite Easter treats and come with a custom nameplate on the handle, which means they work well for Easter or birthday party table favors. Perfect for last-minute treat hiding, this little basket box features a sweet embroidery-like design and comes with an arched cover and handles. The Stretch-The-Fun Box© design offers you two boxes in one. You can slide the sides open to create a larger basket or leave the basket smaller and tidy. 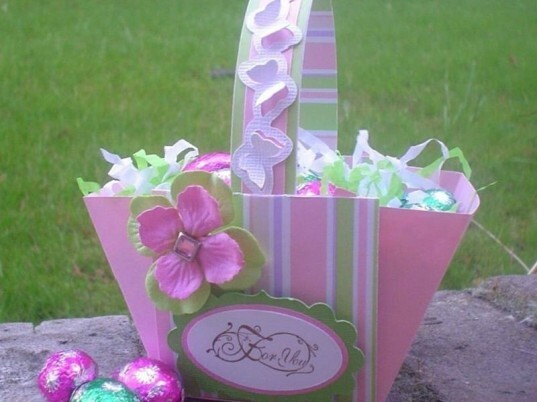 This basket is perfectly easy to customize with embellishments so it'll work for Easter, a baby shower, birthday gifts and so much more, allowing you to stretch the fun and cut costs. This gorgeous as-is basket also comes with 4 damask element designs, you can cut out and use as basket decorations, gift tags, name tags and more. We've yet to see a more elegant Easter printable. 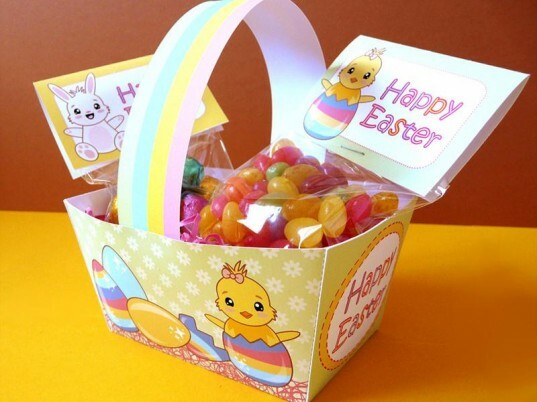 This kid-friendly Easter basket features a cute little chick plus cheerful colors and includes the basket template, handles and a bonus 2 sweet Easter wrappers and 5 Easter tags. Jinjerup printables always delight our eyes, and now you can equally enchant your child this Easter with an adorable Kawaii Chick Giftbag or festive Kawaii Bunny Giftbag. Plus, if you've got more kids, there's a special Buy 3, Get 1 FREE gift bag deal.